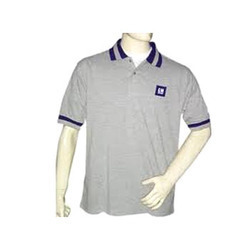 Pooja Enterprises has marked its proficiency in manufacturing premium quality Corporate Uniform. We manufacture corporate uniforms on special orders depending on the requirements of the industry. Our range of corporate uniforms includes corporate suits, corporate three piece suites, ladies corporate dresses etc. Use of top quality fabric and vibrant color combinations has made us a reliable business entity. We have made use of only high quality material of suitable fabric in the making of these Corporate T Shirts. Offered to the customers in a number of sizes, designs and patterns, this range has been in wide demand. We also avail this range to our customers at comprehensive wholesale prices. Matching and suitable buttons have been stitched over these t-shirts for complete corporate look. Widely demanded specially by the office going individuals, we put forth to our customers this fine range of Corporate Shirts. The offered shirts are made available to the customers in a number of sizes as well as patterns. We have kept the latest modular designs in mind while fabricating this complete range. Customers can avail these from us at comprehensive prices. 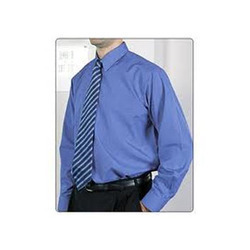 We are a leading manufacturer and supplier of Corporate Office Uniform. These uniforms are manufactured using optimum class fabric obtained from the reliable vendors of the market and advanced technology that makes our range durable and high comfortable to wear. 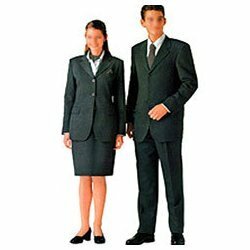 These Corporate Uniforms offered by us are known for their elegant designing and light colors that suits the corporate environment. Besides, our range is properly tested for fabric, stitching and fitting before sending it to the respective destination. Looking for Corporate Wears ?